Before we get into the benefits of yoga, it is important to understand what yoga really is. Many people call it an ancient method of training, and others call it a set of difficult poses. But the word ‘yoga’ actually means union. 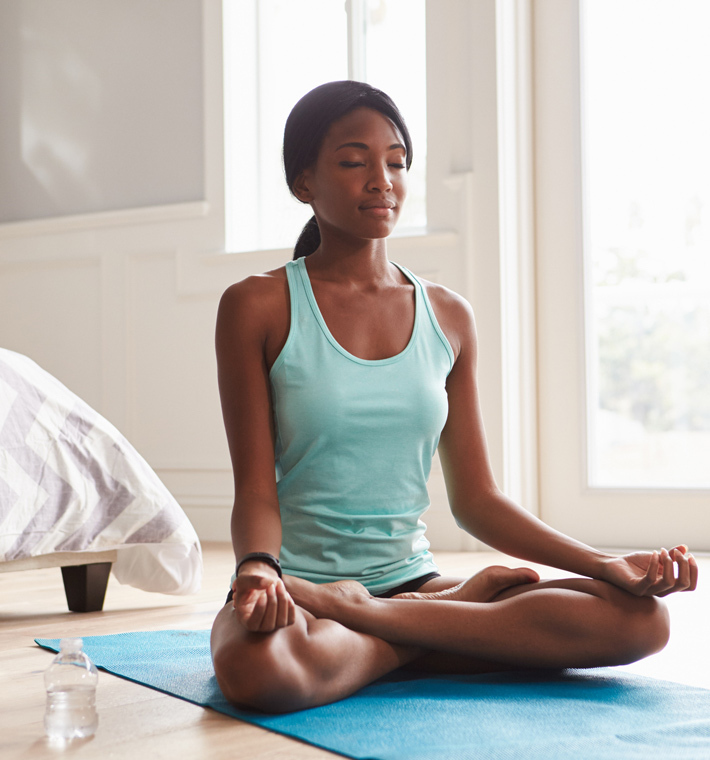 It is a practice that connects the body, mind, and spirit through different body postures, meditation, and controlled breathing. Yoga was developed up to 5,000 years ago in India as a comprehensive system for well-being on all levels: physical, mental, emotional and spiritual. While Yoga is often equated with Hatha Yoga, the well-known system of postures and breathing techniques, Hatha Yoga is only a part of the overall discipline of Yoga. Today, many millions of people use various aspects of these ancient discipline to help raise their quality of life in such diverse areas as fitness, stress relief, wellness, vitality, mental clarity, healing, peace of mind and spiritual growth. Most people experience increased energy and an improvement in overall well-being as physical activity becomes routine. Studies have shown that regular physical activity can help relieve depression and may even lower your risk of developing it. The National Institutes of Health (NIH) describes yoga, tai chi and qi gong as centuries-old, mind-body practices. They involve specific postures and movements combined with mental focus, breathing techniques, and meditation or relaxation. Other forms of fitness like walking, running, dancing, and even hula-hooping can also be done mindfully as a form of meditation. Yoga as a practice has countless benefits that positively affect you both physically and mentally. There are many different ways how yoga can help you to overcome health and wellness issues. Enhanced Circulation – The very first thing that yoga does is improve the circulation of blood. This means better transportation of oxygen and nutrients throughout the body. Improved blood flow also indicates healthier organs and glowing skin. Lowered Blood Pressure – When you practice yoga regularly, the blood circulation in the body is enhanced. This also allows oxygenation in the body. There is a significant reduction in blood pressure as the body calms down. Lowered Respiratory Rate – Yoga involves a whole lot of controlled breathing. It entails filling your lungs to their full capacity, thus allowing them to work more efficiently. Improvement In Gastrointestinal Health – Studies have shown that with regular practice of yoga, the digestive system is activated, and indigestion, gas, and other stomach related diseases are eliminated. Overall, the gastrointestinal functions improve in both men and women. Improved Sexuality – Yoga increases your self-confidence and offers complete relaxation and more control. This gives your sexuality a much-needed boost. Sleep – Yoga helps you relax your mind completely. It helps you work on unnecessary tensions, thus facilitating better sleep. Keeps Premature Aging At Bay – Everyone has to age, but it is important you age gracefully, and not before time. Yoga helps you detox, thereby eliminating toxins and free radicals. This, apart from other benefits, helps delay aging too. Yoga also relieves stress, which is another important factor to beat aging. Improves Posture – It is in the very nature of yoga to teach you how to control your body. With regular practice, your body will automatically assume the right stance. You will look both confident and healthy. Increasing Strength – When you practice yoga, you use the weight of your own body to increase your strength. This is an amazing method of strength training. Balance – It also aims at increasing balance and focus as it allows you to gain control over your body. Regular practice will improve your ability to balance the poses in the class and focus well outside the class. Uplifts Your Mood – When you practice yoga, your body is filled with refreshing energy that uplifts your mood almost instantly. Reduces Stress – When you are on the mat, you focus on the practice. This means that all your attention is concentrated on the matter at hand, and your mind slowly drains out the stress and troubles that are plaguing it. Anxiety Management – A combination of feel-good stretches and controlled breathing helps you overcome anxiety. Brings About A Positive Outlook To Life – With regular practice, many hormones in the nervous system are stabilized. This makes you more positive, and you tend to look at life with a refreshed perspective. Better Concentration – In less than eight weeks of yoga practice, you will find yourself to be more motivated. You will also be able to concentrate better. Improved Memory – With enhanced blood circulation in the brain and reduction in stress, your memory is bound to expand. Tranquility And Calmness – The breathing and meditation help you disengage from your thoughts. This helps you calm down. With practice, you will notice how the calmness is no longer just a part of your practice – it becomes a way of life! Lowers The Risk Of Injury – Yoga comprises of low impact and controlled motions. Hence, there is a lower risk of injury during the practice when compared to other exercises. 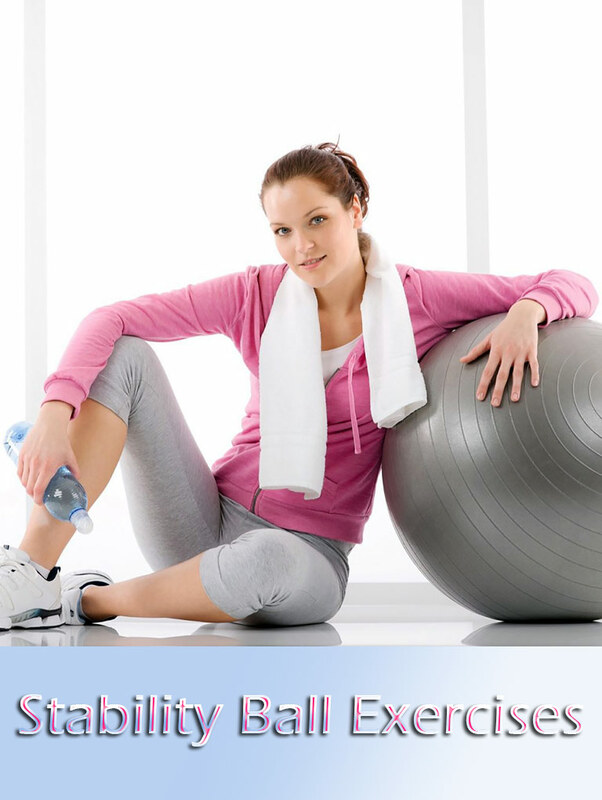 Toning Of The Muscles – With regular practice of yoga, you can build lean muscle. The muscles are flexed and toned with the practice. Oxygen-Rich Breathing – Yoga imparts a natural and controlled breathing. This provides for oxygen-rich air and also gives your body a boost of energy after the workout. The best part is, you let go of fatigue through the workout. Balances Opposing Muscle Groups – Balance is the key when it comes to yoga, and yoga believes in counteractions for every muscle in order to maintain the balance. This ensures a better workout for the body. For example, you need to follow up an Upward Dog with a Downward Dog. Makes For A Non-Competitive Workout – Yoga believes in introspection and self-building. This eliminates the need for competition. When competition is out of the picture, you tend to workout slowly and concentrate on each movement, thereby avoiding injury and stress. Your workout will seem complete and wholesome. Increases Rage Of Motion – When you practice yoga, your body opens up, and the muscles become more flexible. This improves and increases your range of motion. Enhanced Dexterity – The strong mind-body connection that yoga builds makes you quick-witted. The practice also improves your skill and grace. Improves Endurance – When you work on the entire body, the endurance is built. This helps athletes significantly. Many sportspeople use yoga as a supplement to build endurance as they train in their own field. Asthma – The coordinated breathing, along with the asanas, helps alleviate asthma. 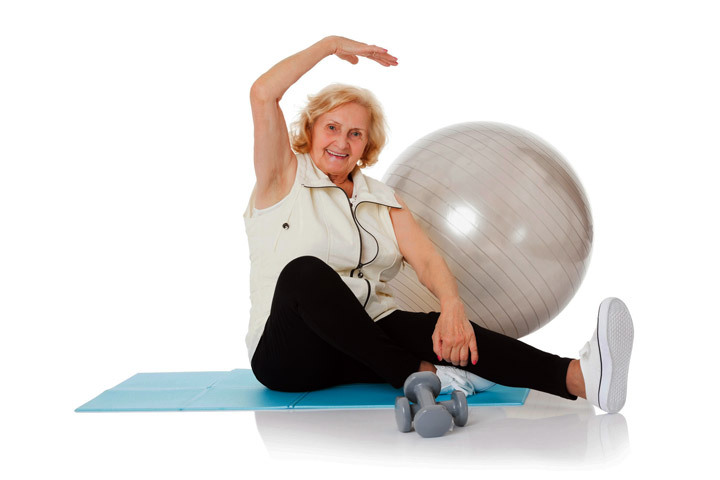 Arthritis – Yoga combines slow movements with gentle pressure on the joints. This works wonders for those suffering from arthritis. Also, relieves the trapped stress in the muscles that increases pressure on the joints. Multiple Sclerosis – Studies prove that yoga helps relieve the dreaded Multiple Sclerosis. It works on the nervous system and improves nerve health, which helps treat the condition. Muscular Dystrophy – If you practice yoga in the early stages of this disorder, it will help you gain some physical functions. Pranayama also helps to a great extent with this disorder. Migraines – Yoga improves blood circulation. Your head receives a fresh supply of oxygen and nutrients, thereby reducing migraines. Scoliosis – The different poses work on your core and help you straighten your posture. The curvature of the back gradually straightens out and the pain is relieved. Chronic Bronchitis – It works on the respiratory system too. The increased levels of oxygen help to treat chronic bronchitis. Yoga also aerates the lungs, giving them renewed energy. Infertility And Menopause – Specific poses work on increasing fertility. They help open up blocks in the fallopian tubes, reduce the symptoms of PCOD, and also enhance the health of the reproductive system. The side effects of menopause are also eliminated. Back Pain – Yoga reduces the spinal compression and works on the alignment of the body to reduce back pain. In the last 10 years the number of Americans practicing yoga has nearly doubled. It’s now practiced by more than 21 million adults and more than 1.5 million children. Yoga and other mindful practices can be gentle and may be done by just about anyone, anywhere, with no special equipment needed. Satyananda yoga, a gentle style of traditional Hatha Yoga, suitable for all age and shape. Bikram Yoga, a dynamic style, practiced in a heated room. Kundalini yoga focuses on the release of internal energy, using postures, breathing and meditation. Note: There is a wide variety of yoga styles; not all are gentle. The NIH recommends that people with high blood pressure and women who are pregnant should modify or avoid some poses. Talk with your healthcare provider and a qualified instructor if you have concerns.